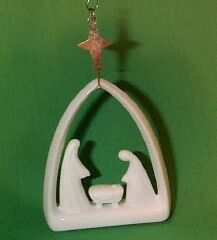 NIB 1985 Hallmark MINIATURE CRECHE Ornament #1 in Series NEW! 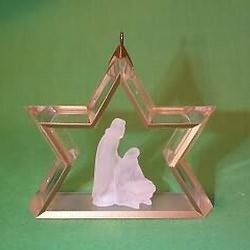 1988 Hallmark Collector's Series Miniature Creche Acrylic Ornament " 4th in Ser. 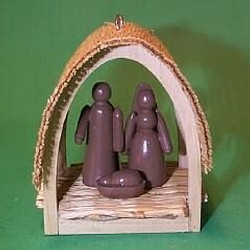 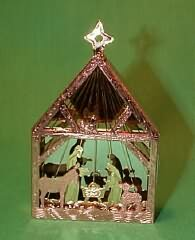 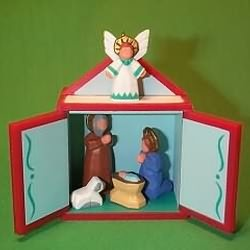 1989 Hallmark Collector's Series Ornament " Miniature Creche "